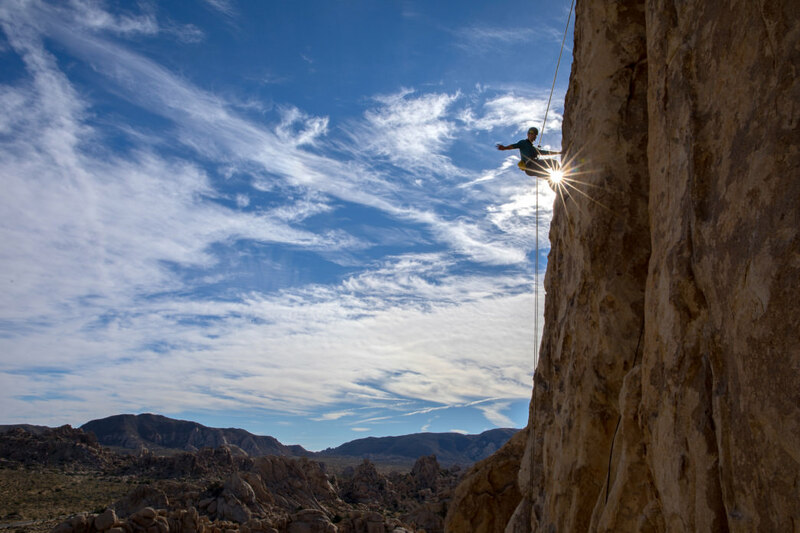 Skip the beach resort this spring break and get your warm-weather fix on desert sandstone, splitter cracks, highball boulders, and some of the best sport lines in the country. With perfect desert and Southern climates, these early-season areas are just what you need after a long winter of training in the gym. Here are our picks for the best climbing trips for spring break—for climbers of all abilities, styles, and interests. The variety of routes on soft, beautiful sandstone in Red Rock Canyon will keep everyone from beginner climbers to multi-pitch adventurers busy. Trad, sport, and bouldering options abound, and spring is prime climbing time as the canyon gets sizzling hot during the summer. Get ready for fun, high-exposure routes on tall sandstone cliffs, including featured cracks, steep sport climbs, and countless airy lines. The2018 Red Rock Rendezvousis March 16–19, and includes clinics for all levels. Must-do Climbs : Mr. Choad’s Wild Ride (5.11b) is one of the most photogenic sport lines in the country and Olive Oil (5.7) is a crowd-pleasing five-pitch with great variation throughout the pitches. Try the Cookie Monster variation (5.8) instead of the start of Cat in the Hat (5.6), which allows you to enjoy the climb but skip the crowds. What to do on Your Rest Day : Head into downtown Las Vegas, gorge at one of the (in)famous casino buffets, and take a walking tour of the Strip. You’re only 20 minutes from Las Vegas, so the options for food and entertainment are endless. Most of the lines in the area range from 5.6 to 5.10. This stop often gets overlooked as climbers zip north to the iconic Bishop boulders, but with more than 300 routes of mostly bolted sport climbing, this easy-to-access climbing area is a real gem. Located just down the highway from the small town of Lone Pine, this area is classic small-town California. There are some more challenging lines here, but the large number of routes ranging from 5.6 to 5.10 makes this a friendly, safe, and confidence-building crag for newer climbers. 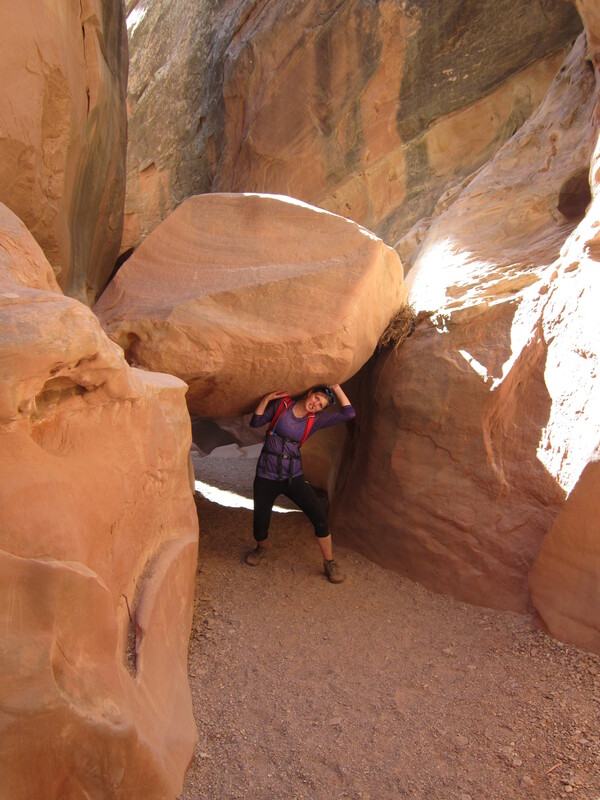 Some of the climbing here can be chossy, so make sure to do your research and stick to the good-quality rock. Most climbs are less than a 15-minute walk from the car, and the campsites are free of charge and well maintained. Bishop might be more popular, but for fewer crowds, free access, and a huge variety of easily accessible climbs, this is a choice spot. Must-do Climbs : Anything on the prominent Shark’s Fin is a sure bet. Tightly-packed routes range from the fun Shark’s Fin Arete (5.7) to technical climbing on thin holds on Fat Black Mama (5.11c). 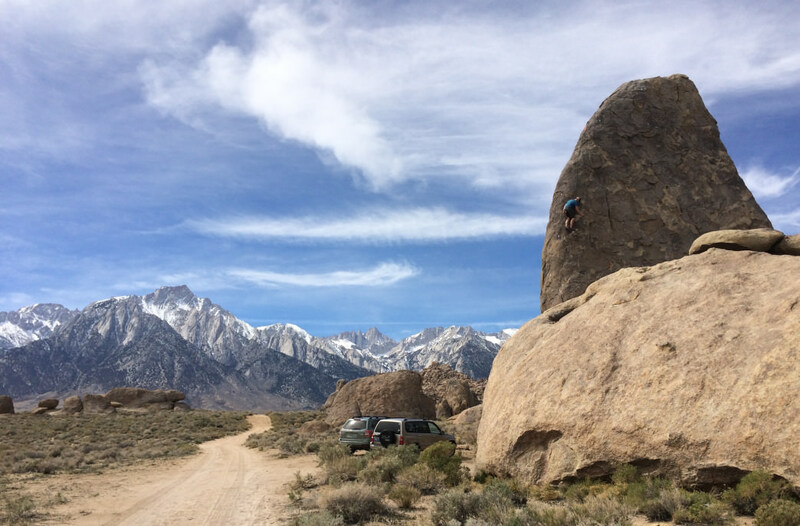 What to do on your Rest Day : Hit up Lone Pine, and grab a bite to eat at the classic Mt Whitney Restaurant. Looking to stay active but give the fingers a rest? Mountain bike the 15-mile Alabama Hills Loop, or take a hike on the Horseshoe Meadows Trail. Mt. Whitney towers above this town, but you’ll need a reservation—up to a year in advance—to bag this peak. The New is a good place for more advanced climbers. The climbs in this stunning national river area number in the thousands. Boasting gorgeous (and tough) sport and trad lines on high-quality, hard sandstone, climbers can come here again and again for their entire lives and never run out of projects. The variety here includes dihedrals, roofs, and overhanging cliff faces packed with technical climbs and splitter cracks. 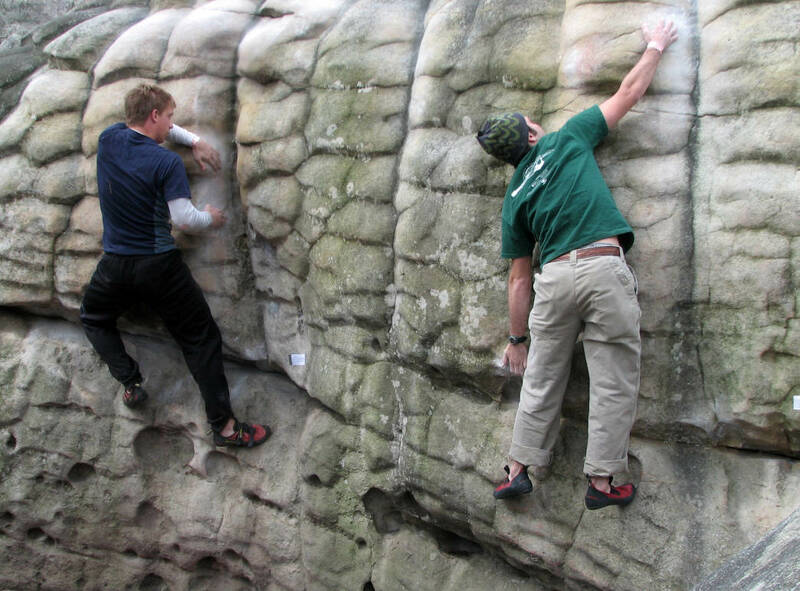 The region is known for its sport and trad, but bouldering is gaining traction. This isn’t as tightly bolted as the nearby Red River Gorge, and probably not the best place for a beginner—most bolted routes range from 5.10 to 5.12. A variety of fee-based campsites are scattered through the area, as well as limited free spots. This area is maintained by the National Park Service; further info on camping and other regulations can be found here. What to do on your Rest Day : Head into Fayetteville for a pizza and a beer at Pies and Pints, or enjoy a cup of coffee at Kool Beanz. The whole gorge is full of natural beauty so grab a book, sit by the water, and just relax. There are few better places to boulder in the southeast than at HP40. This historic nature park houses a collection of unique rock formations tucked in the foothills of the Appalachians. This area hosts climbing competitions throughout the season and locals and visitors alike love slapping on slopers, inching up slabs, and throwing for stellar roof holds. There is a small day-use fee, but it’s worth it for the variety and sheer number of boulder problems that range from V0 to V12. You’ll find one of the highest concentration of quality boulders in the country here, and the area is super low-maintenance. You’ll find in-park camping, showers, RV hookups, and a general store that doubles as a diner. Be sure to check in and pay your fee so this space can remain open and accessible for future climbers. Must-do Climbs : Test your footwork on the slabby arete Mortal Combat (V4), or work power endurance on slopers and small crimps up Slider (V9). Inspect Her Gadget (V5) boasts solid heel hooks and fun traversing moves. What to do on your Rest Day : The entirety of this park has plenty to keep you occupied for several rest days—explore more of the unique natural features or take a drive into nearby Asheville and feast on the ribs at Shaw’s. If you get on one of the sport routes, be prepared for some serious sandbagging and runouts. One of the most popular winter and early-season climbing destinations, this world-famous landscape can get packed during spring break, which means camping gets scarce. 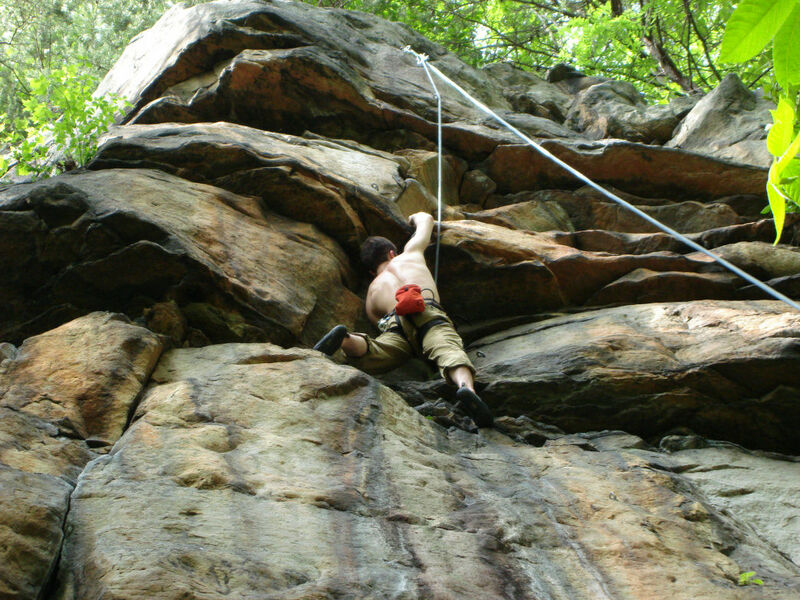 Trad lines and bouldering make up the bulk of the climbing in this vast area, divided into different sectors for easier navigation. First-timers should make a plan and tick-list before arriving, as it’s easy to be overwhelmed by the sheer amount of routes. If you get on one of the sport routes, be prepared for some serious sandbagging and runouts. The fee to enter the park is $25 per vehicle, and the National Park Servicemaintains the campsites. Be sure to bring your own water—you are in the desert, after all. Must-do Climbs : Sail Away (5.8) is a classic single-pitch: an easily-protected hand crack with features on the outside for footwork assistance. Dappled Mare (5.8) is four pitches with a mellow walk off, plus plenty of variations on the wall. The Right Baskerville Crack (5.10b) offers a mix of careful slab moves, tight handjams, and a thin, steep crack. What to do on your Rest Day : Take a guided tour of Keys Ranch, experience the Old West at Pioneertown. The bird watching and plant identification in this park will keep you occupied for a full day. Hungry climbers won’t be disappointed by the chile rellenos at Las Palmas. Written by Maggie Slepian for RootsRated in partnership with 37.5.